Welcome to episode 9 – 0 !! 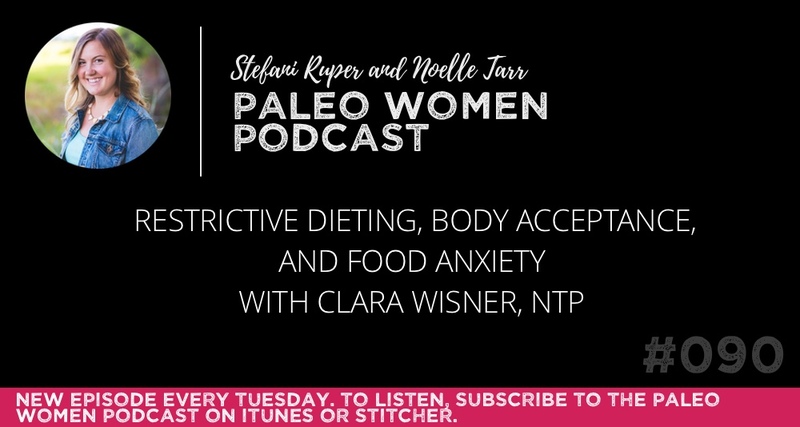 This week, Noelle and I have on the remarkable Clara Wisner to discuss restrictive dieting, body acceptance, and food anxiety. Sun Basket is a fresh ingredient and recipe delivery service that uses organic, sustainably sourced, seasonal ingredients from the country’s top farms. When you sign up for Sun Basket, you’ll simply chose 3 recipes to make each week customized to your desires and needs, and then you’ll receive a box with all the ingredients to make those recipes delivered to your front door. All the ingredients are pre-measured so there’s less hassle and less waste, and there is no commitment meaning you can skip or cancel at any time. As a special offer for our community, Sun Basket is offering 3 free meals with your first order ($34.47 Value!) To get this special deal, go to http://sunbasket.com/paleowomen.